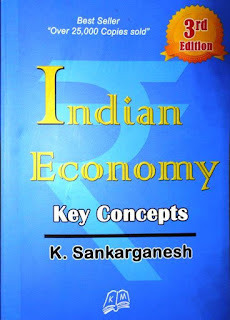 Indian Economy Key Concepts K Sankar Ganesh: There are many definitions for economics. As the subject keeps on evolving, the definition also keeps on evolving. The father of economics Adam Smith studied economics as “an inquiry into the nature and causes of the wealth of nations”. Thereafter, a lot many economists defined economics in different ways based on their own research and perception. But none of them is universally accepted. So, it is better to have an idea about economics rather than having a definition. This is a study that centers on resources. The resource may be abundant or scarce; natural or manmade; monetary or non-monetary. He discusses the exchange value of both water and diamond. The first one is available in plenty, the second one is scarce. So, it is clear that it studies about oath plentifulness and scarcity. The causes and effects of inflation are also studied which is related to an abundance of money as well as scarcity or shortage of goods and service. From this, it is clear that economics studies both scarcity and abundance. But most part of the economic study is devoted for the study of scarcity as the human tendency is to care for scarce resources. It is stated as a study that centers on resources for the reason it not only study about resources but also the factors, stakeholders involved in creation, extraction, and consumption. It studies about the allocation of resources, allocation of factors of production, consumption pattern of factors of production, the motive, and aim of factors of production, the behavior of factors of production and consumers and the psychology behind these motives and aims and behavior and so many other things. Factors of production mean the participants in the production process. They are Land, Labour, Capital, and Entrepreneur. The land is a base to establish the production unit, transportation and sometimes the source of raw material. Labour contributes might physically and mentally. Capital is used to purchase the men and material. An entrepreneur does bring in all other factors of production and puts in to use to produce what best can be produced using these. The entrepreneur may be either government or private. etc. but in actuality, all the roads are not well laid, and the city traffic may be heavy, the air pressure may not be maintained properly all the time. These factors reduce the mileage of the car. Likewise, certain varieties of seeds yield a high amount of produce in the laboratory or in field trial but when it comes to mass scale production by farmers, the yield may not be the same. The reasons are a difference in atmospheric and other conditions of laboratory and field. The same logic is applicable for economics. The laboratory conditions are laid in the form of assumptions when it comes to the study of Economics. The economic theories and models are created under specific conditions and assumptions. 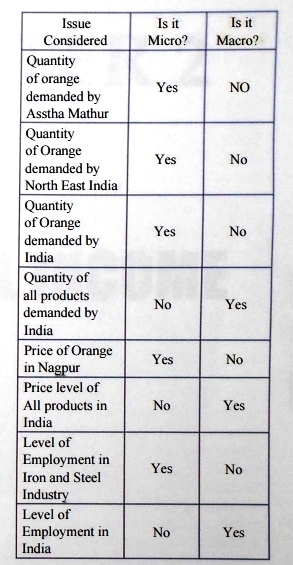 For example, the demand theory considers that demand for goods and services are based on the level of price for that particular goods and service. It says, if the price is high, the demand for the product is ow and vice-versa. It is said so because the theory of demand assumes other factors that have an impact on demand remain unchanged. But in actuality, it is not the case. There are many other factors other than the price that has an influence on the demand. The reason for making these assumptions are that the factors considered in theory are playing a major role in deciding the outcome of the interplay of these factors . The other things do not have a significant influence but at the same time, they cannot be ignored. The way, the laboratory checked cars and seeds yield less on the field the economic theories deliver less in practice as the world is more complicated than what was considered while building economic theories and models. But the economic theories and models do not fail the world as due care is taken while building it and framing it to make as much as close to the realities of the world. There are two main streams of Economics. They are Microeconomics and Macroeconomics. The term ‘Micro’ is used to indicate something relating to a specific area, rather a general one. The term ‘Macro’ is used to denote something relating to a general area rather than being detailed or specific. Likewise, the microeconomics studies the specific area of economics like individuals, a smaller group like laborers, the economics of a firm etc. The macro economics studies the economy of a nation as a whole. The study of demand of individuals, the production function of a production unit which is called firm are covered under microeconomics study. At the same time the study of demand of the nation, the production or supply level of a nation, the general level of employment etc. are covered under the study of Macro economics. A careful reading of the following table will give clarity on the question as to what is microeconomics and what is macroeconomics. 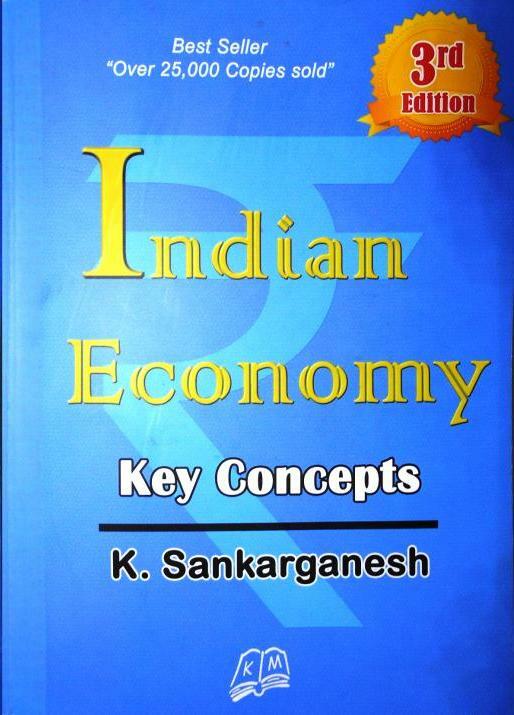 This book looks at the Indian economy from the macroeconomic perspective. But do not dwell on theoretical aspects. 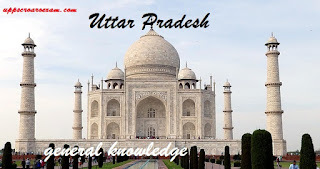 It concentrates on the concepts and its practical implications.